Whether you need a cabin, a horse barn, or a storage shed, it’s important that you get the right building from the right company for your family, your property, or your business. At Hilltop Structures, we make the buying process as easy as possible by following a simple formula—we provide the highest-quality buildings and customer service from the moment you place your order until your building is setup on your property and ready for use. At Hilltop Structures, we take pride in our products and the individual attention we give to each and every one of our customers. Our business is located in the hills of Dickson County, Tennessee, and we’re proud to serve customers throughout the Southeast, including the entire state of Tennessee, Southern Kentucky, and Northern Alabama. Because of our local ties to the area, we understand your unique building needs, and we have the experience to meet them. We deliver and setup your building. We’re a family-run and family-oriented business. 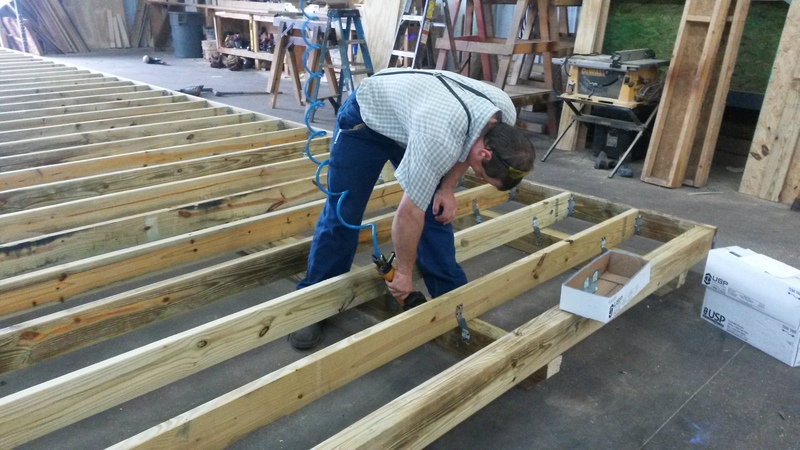 When you buy a building from Hilltop Structures, you’re getting the craftsmanship and support of our entire family. Almost every member of our family has a unique and integral hand in the building, selling, scheduling, and preparation process of our business. We offer attractive financing and rent-to-own options. Need financing? We offer fixed-interest rates and financing options ranging from $5,000 to $100,000 with no liens or collateral requirements. In addition, we also offer a no-credit-check rent-to-own period with 36 and 48-month no-commitment rental periods on cabins with exterior finishes. We offer several unique styles of cabins, sheds, and horse barns. A common complaint about portable structures is their cookie-cutter looks and designs. Our buildings are uniquely designed and are sure to stand out in any location, whether it’s your backyard, in your favorite hunting spot, or by the lake. We now offer a 24x36 garage that comes out complete with 2 roll up doors, a entrance door and several windows for the folks who want a larger building either on a slab or a prepared level site. We are also very serious about a new phase in our business, starting to build Park model cabins on a chassis. This is for the folks that want something small but codes won’t allow you to put a portable structure on your lot. So keep watching for more info on this exciting new venture!